Maybe you heard: the Russians are responsible for the Boston Marathon Bombing. At least indirectly. Anyone who still entertains the fantasy that America is a vigorous, healthy democracy with an honest and reliable security apparatus and an honest, competent, vigilant media need only consider this major news leak just published as a New York Times exclusive. It pretty much sums up the fundamental corruption of our institutions, the lack of accountability, and the deep-dyed complicity of the “finest” brand in American journalism. Just days before the first anniversary of the Boston bombing on April 15, some unnamed “senior American official” puts the blame for the bombing squarely on…Vladimir Putin. It takes a keen understanding of certain members of the American media to know they will promote, without question, the latest “intelligence community” version of events. Which is that responsibility for the second largest “terror attack” after 9/11 should be pinned on the Russians, currently America’s bête noir over Ukraine. And the world’s vaunted “newspaper of record”—its brand largely based on insider access and the willingness of powerful figures to give it “hot stuff” in return for controlling public perceptions— shamelessly runs this leak with no attempt to question its timing or provenance. The Russian government declined to provide the FBI with information about one of the Boston marathon bombing suspects two years before the attack that likely would have prompted more extensive scrutiny of the suspect, according to an inspector general’s review of how U.S. intelligence and law enforcement agencies could have thwarted the bombing. While the review largely exonerates the FBI, it does say that agents in the Boston area who investigated the Russian intelligence in 2011 could have conducted a few more interviews when they first examined the information. The FBI agents also could have ordered turkey sandwiches instead of pastrami, which surely would have been a little healthier. So, New York Times, should we trust the anonymous individual, or more importantly, the report that none of us have seen? The report was produced by the inspector general of the Intelligence Community, which has responsibility for 17 separate agencies, and the inspectors general from the Department of Homeland Security and the Central Intelligence Agency. Now, the Times doesn’t offer any useful context on why these reviews took place, beyond a pro forma effort to respond to complaints from a handful of congressional members (see this and this). The article does not address the quality or credibility of this “self-investigation” and the overall track record of these investigators. Nor does it express undue interest in why the report appears to have been finished just in time for the anniversary of the bombing. In our view, the article is one hundred percent “stovepiping.” That’s when claimed raw intelligence is transmitted directly to an end user without any attempt at scrutiny or skepticism. This is irresponsible journalism, and it is the kind of behavior (from The New York Times again) that smoothed the way for the U.S. to launch the Iraq war in 2003. The Times doesn’t even point out how self-serving the report is, coming from an “intelligence community” that has been publicly criticized for its actions leading up to the Boston Marathon bombing and its behavior since. (For more on the dozens of major reasons not to trust anything the authorities say about the Boston Bombing, see this, this, and this. For perspective on the media’s cooperation with the FBI in essentially falsifying the Bureau’s record throughout its history, see this). [A]fter an initial investigation by the F.B.I., the Russians declined several requests for additional information about Mr. Tsarnaev…. Did the Times ask the Russians about this? Did they find out if the Russians actually “declined” several requests, or whether they ever got back to the FBI? 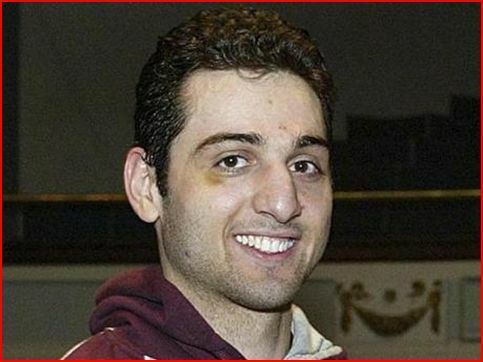 The anonymous official notes one specific piece of evidence that the Russians did not share until after the bombing: that intercepted telephone conversations between Tamerlan Tsarnaev and his mother included discussions of Islamic jihad. The official speculates that this information might have given the FBI greater authority to conduct surveillance of the suspects. However, the reality is that the Russians had already warned that Tamerlan was an Islamic radical, and it is not clear how this additional information would necessarily have provided anything truly substantive to add to a request for spying authority. It’s also highly questionable, based in part on Edward Snowden’s revelations, whether the FBI or the NSA were actually adhering to such restrictions on spying anyway. Finally, it’s worth noting how truly remarkable it is that the Russians shared such intelligence at all. That they didn’t want to volunteer that they were capturing telephone calls is not that surprising, on the other hand. It has not been made public, but members of Congress are scheduled to be briefed on it Thursday, and some of its findings are expected to be released before Tuesday, the first anniversary of the bombings. This leak, which clears the FBI of all charges of incompetence or worse, comes just when the “American conversation” will again intensely focus on the nature of the “war on terror” and the trustworthiness of our vast secret state. It also comes, most conveniently for the Bureau, at the precise moment when Dzhokhar Tsarnaev’s defense counsel has been seeking to learn the exact chronology and nature of the FBI’s interaction with the Tsarnaev family. Months ago, we ran Peter Dale Scott’s rumination on whether the FBI could have recruited Tamerlan Tsarnaev as an informant, as it has done thousands of times before with other immigrants of a similar profile. Recently, the defense for Tamerlan’s younger brother, Dzhokhar, essentially claimed this was correct—that the Bureau at least attempted to recruit the older Tsarnaev. That has been cursorily reported by the major media, but no one seems to have connected the dots linking this claim to the new report that conveniently exonerates the FBI for failing to take action against the Tsarnaevs in time to stop the bombing. Interestingly, Schmidt and Schmitt, in subsequent articles, including the recent one, make no more mention of this early FBI contact. 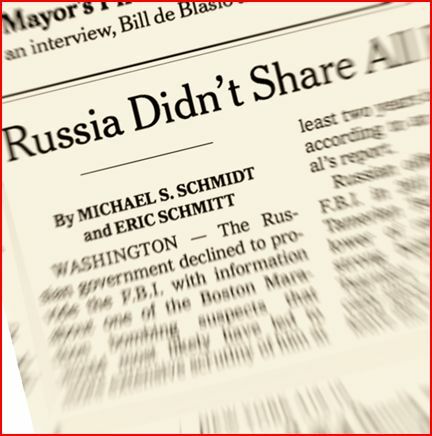 As it stands, the New York Times is on record of having asserted, again based on what sources told it, that the FBI was interacting with the Tsarnaevs before the Russians ever contacted it. If that early report was true, then by definition, the Inspector General’s report (and the leaked article about it) would be calculated parts of a cover-up about an FBI foul-up. Conversely, if the early report was in error, then we need to know who provided it, or how they got that information wrong. Serious investigators know not to reject anomalies and “wrong” early reports as simply the result of haste or rumor without at least checking out the possibility that the early reports were right—but were later suppressed because they might cause problems to someone in power. It is worth noting that the revelations in the new report—sure to be picked up by other media outlets that tend to repeat unquestioningly whatever the Times publishes—will be all the average American remembers about the FBI’s failure to prevent the Marathon bombing, and what may lie behind that failure. Most members of the public will never know of the substantial indications that something is seriously wrong with what the government has put out about this affair. They will only recall that the FBI was somehow “cleared.” And they will probably remember that Putin’s Russia was somehow at fault. 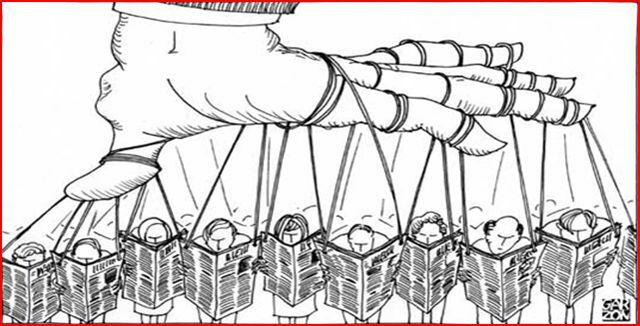 In the final analysis, what we have just witnessed is the kind of arrant manipulation that shows the contempt of the “system” for the “people.” The “best” news organization gets another exclusive story. The US government gets to point its finger again at the Russian bogeyman. The FBI and the security apparatus get another free pass. There are 36 comments Our Comment Policy: Keep it civilized, keep it relevant, keep it clear, keep it short. Please do not post links or promotional material. We reserve the right to edit and to delete comments where necessary.